While this card gave me quite a few headaches designing it, I absolutely love the end result. 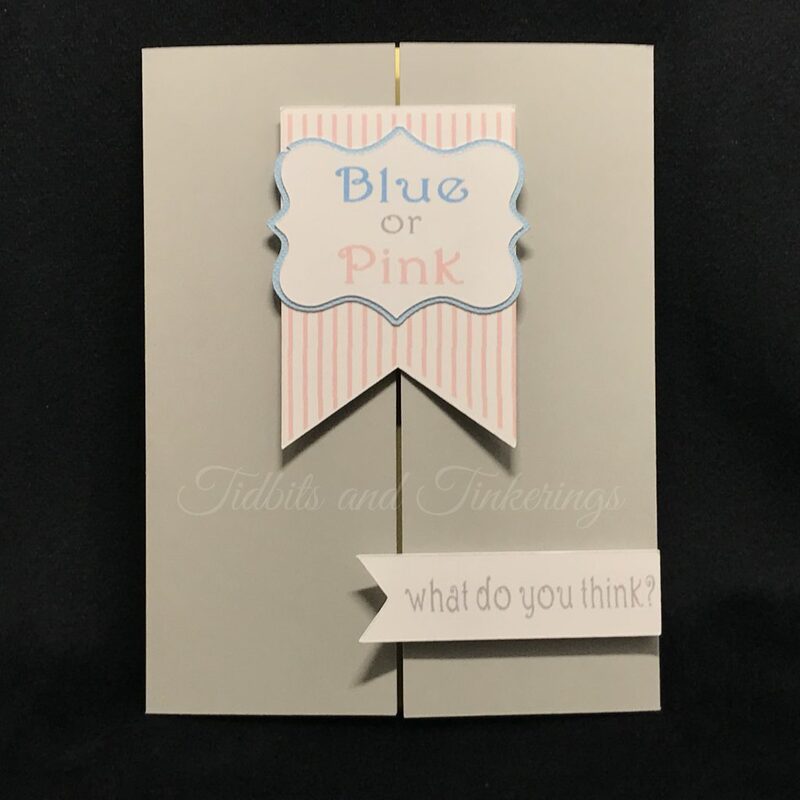 I opted to go for a gender reveal theme but this card could be used in so many ways to reveal a surprise message or simply a hidden greeting. Have fun with it and use your imagination! You can grab the Cricut Design Space file from here. If you prefer to download as SVG format you can do so here. 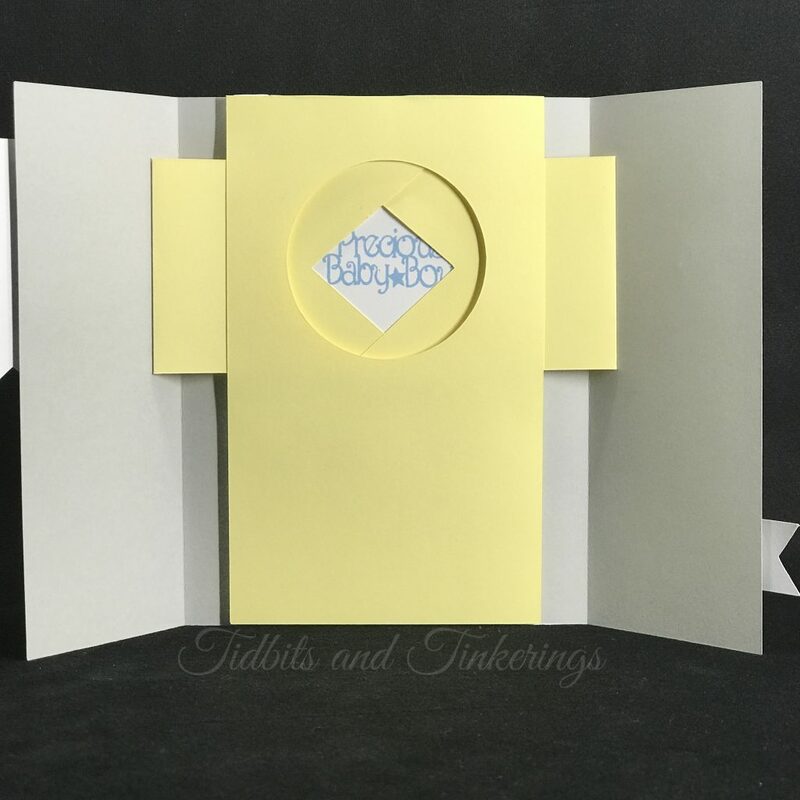 Hi, I loved your card and video, but when I click on the link for the Cricut Design Space file, nothing shows up in my canvas. I tried some of your other files and they show up. Help! Hi Nancy! Try this link https://design.cricut.com/#/design/55017361. If that still doesn’t open try going to http://community.cricut.com/profiles/57b0c0c63a19ca9a5eed0456/project-detail/58b3c0fa1d31ac7c0b1ea89e and click the ‘customize’ button. Thank you, I tried making one like this and I was not successful, so now with your pattern I am excited to try again. THANK YOU!! My daughter is expecting her first baby and this will be perfect to mail to out of state family! You are very welcome. And congrats on the upcoming grand-baby! I love these cards. Thanks for sharing your file. Thank you so much for the svg!